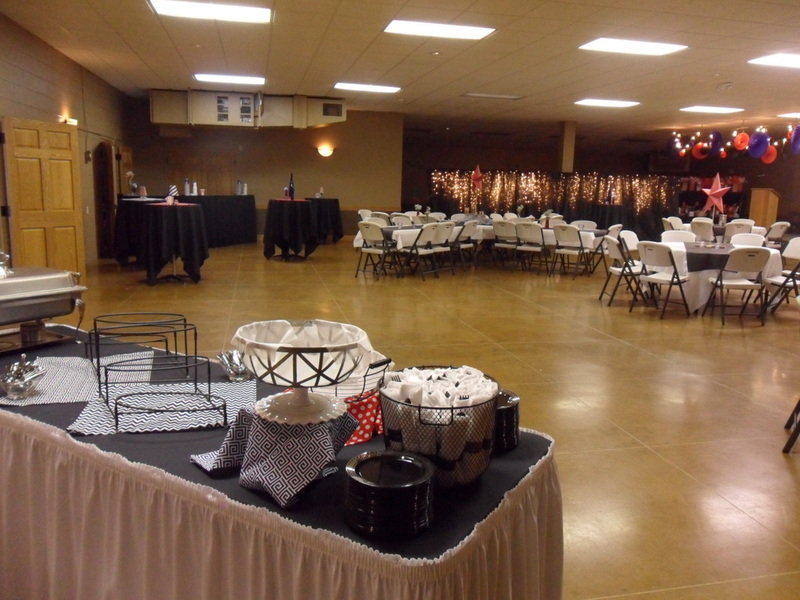 The KC Hall in Washington, Iowa, provides over 4000 square feet of space for your next event. The spacious hall has been recently redecorated throughout and will provide a beautiful backdrop for your special celebration. There is a fully-stocked bar with trained bar staff. We offer you a selection of our approved caterers who will help you plan a delicious menu for your guests. Rental of the KC Hall includes tables (round and rectangular) and chairs. Also included is a stage and the use of a microphone, podium, LCD projector, and screen. Options include set-up the day prior to your event, assistance with clean-up, and decoration pick-up the day after. Contact our coordinator for pricing and catering information.